The annual United Way Wine & Food Festival is upon us once again. I was able to go to a couple of the events last year and they were all amazing. 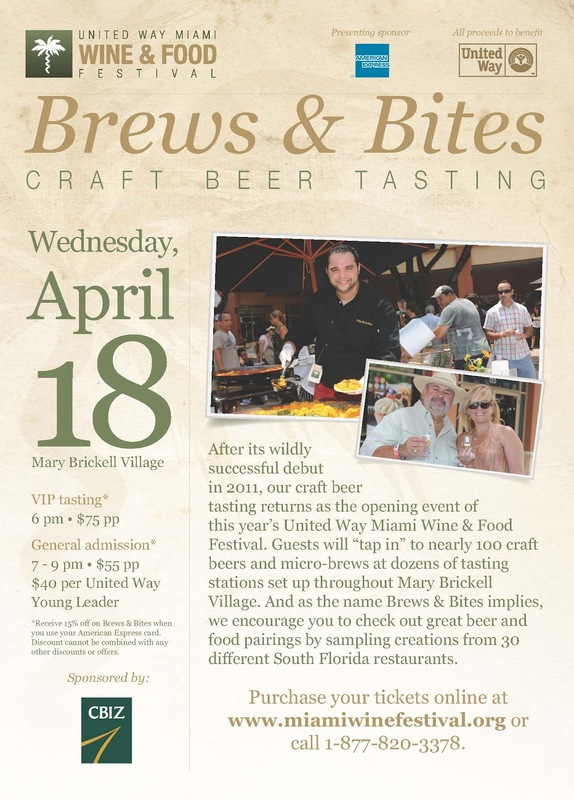 The highlight for a lot of people I talked to was the Brews & Bites event and it looks like the United Way thought so as well by now making it it's kick off event. 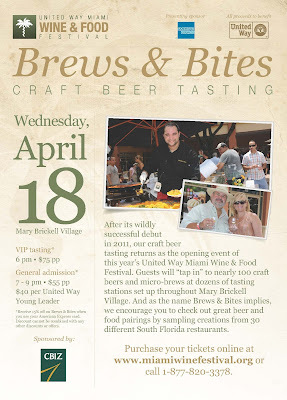 Brews & Bites will take place next Wednesday, April 18th at Mary Brickell Village. You can check out the full list of participating restaurants by clicking here and breweries by clicking here. You can also buy tickets for this worthwhile event by going here. The good people over at the United Way have given me a pair of tickets to giveaway for the event. If you would like a chance to win the tickets all you have to is have a friend like our Facebook page. Once your friend likes the page they just need to leave a comment with your name. You can do this with as many friends as you want and be entered into the giveaway each time. They must be new people liking the page leaving the comments not people that already like the page. Then on Monday I will put each entry into a hat and pull out a winner. The more people you get to like our page and leave a comment with your name the more entries you will have and a better chance you have to win. Good luck!!! Sol Flamberg likes this blog ... oh and beer!! Especially IPAs ... Does that make me a hop head? It would be awesome if brews and bites could come to Orlando, Florida. Taps from Scratch would love to sponsor some homebrew given the opportunity. 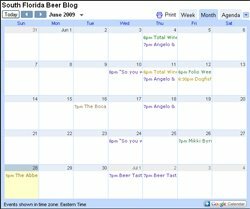 I think we worked with Mr. Barris from Florida Beer Company for one of the Brews and Bites where they rented two Pub-Hubs with four taps (8 taps total) to Tampa. Keep us posted! We'd love to help!